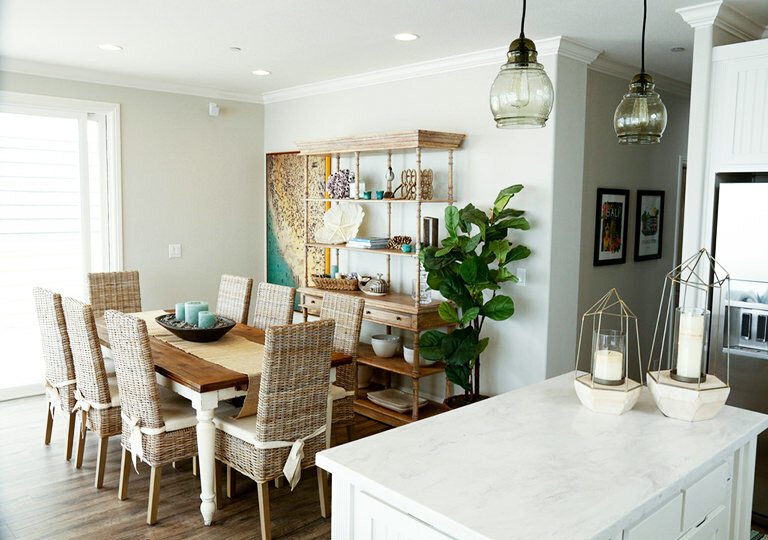 Are you planning to alter your current home design and bring the coastal style in? How do you visualise the actual result? Will you be focusing only on the living room, dining space or the entire house? Textures create a statement even when you use minimal touches of colour. For instance using natural timber, like hardwoods, contributes to achieving a traditional look. Weather-resistant boards and panels painted with low sheen level also portray a house with a laid-back personality. Also, if you live within the Sunshine Coast or elsewhere nearby ocean, it’s safe to minimise the use of building materials that are susceptible to rust. Sea air can negatively affect the quality and longevity of your property so it is best to choose the right products to help protect it. Consistency reigns supreme when it comes to decorating your interior. It makes the room look appealing and unified. When looking for a perfect tone or shade that depicts a laid-back home style, choose a colour palette that gains inspiration from the coast. Will it complement the theme you are aiming to achieve? That way, you can carry out your preconceived theme without losing its value. Using white as your primary colour can provide a relaxing ambience within the room. Integrating it to your walls, ceilings and windows is a good option. Pastels and neutrals are recommended to keep it looking simple and beach-inviting. Do you prefer warm or cool neutrals? Using a combination of the two brings depth to interiors. Shades of grey, blue and green partnered with a white backdrop can emphasise the intended colour scheme. Having the right furniture in your beach-themed house is an important consideration. Overlooking this part can affect the appearance that you are expecting to achieve. Beach-style furniture creates a contemporary coastal appeal and a relaxed atmosphere. Adding them also allows you to introduce the colours that you are planning to use. The Australian coastal style teaches homeowners a few rules for their property to adopt the coastal look. In dining areas, tablecloths are not necessary if you want to appreciate the beauty of natural wood. Wall paintings, lampstands, mirrors, sofas and chairs and lightings that fit the chosen theme exude timeless beauty and appeal. Lounges rendered in natural fibres are good choices. White slipcovers are also recommended to emphasise the coastal style and feel. Houseplants also contribute to making your home appear lively. Placing a plant pot on your cabinets or benchtops can add warmth to the room. For instance, if your dining or kitchen area uses earthy colours, you can choose to put the greens on top to make it stand out. Artificial plants are also welcome. If you want your house to create a tropical feel and help beat the winter weather, you may place an orchid or fern. Small or life-size plants do not only provide health benefits but also give life to indoors. Growing or placing them inside makes the house look like the tropics. As the old maxim says, “less is more.” When you come to visit a house filled with belongings and other elements all over the place, it makes the room cluttered and uninviting. Undoubtedly, a simple yet attractive house is what homeowners must aim to pursue. 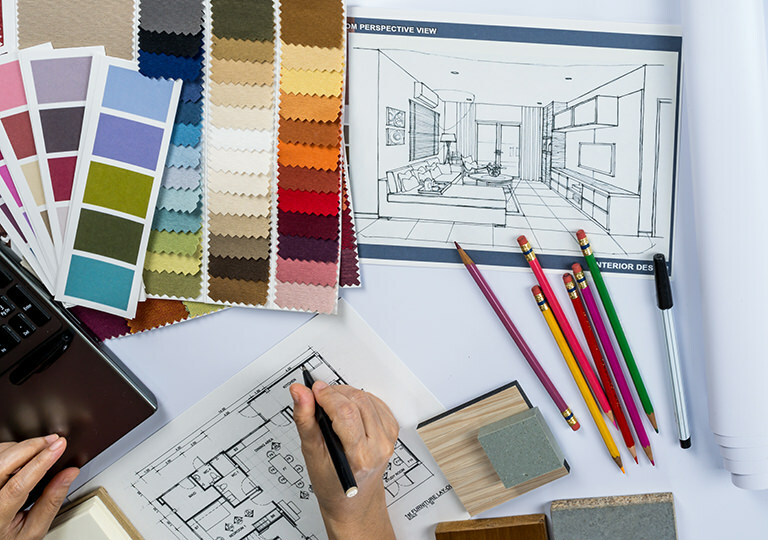 If you are looking for professionals specialising in interior design, they can assist you to come up with design ideas and incorporate them on all your furnishings and furniture. Don’t forget to ask for their completed works and credentials to ensure their professionalism and reliability. Clarify other factors such as the schedule, cost and project agreement. As you prioritise these things, you can expect a beautiful result that adopts the coastal style which you can enjoy without a doubt. HIREtrades is a one-stop online marketplace for connecting consumers and businesses, covering 200+ trades and serving all states across Australia. Visit our dedicated Interior Decorating page or Get A Quote by filling out our quick and easy form.